Half that amount for persons under 18 years old. There will be no more senior discounts and the board members will no longer be comped. In addition if a member waits until after 3/31/2019 the contribution will be $150. Our March membership meeting will be held on Tuesday 4/9/19 at the Brooklyn Public Library on 86th Street between 17 & 18 Avenues. Coffee and donuts at 6:00 PM with the meeting called to order at 6:30 PM. We're writing to let you know the FAA issued an Interim Final Rule today that will require drone pilots and model aircraft pilots to display their FAA-issued registration number on the outside surface of their aircraft. The rule will take effect on Monday, February 25, which means the markings must be in place for any outdoor flight beginning on that date. 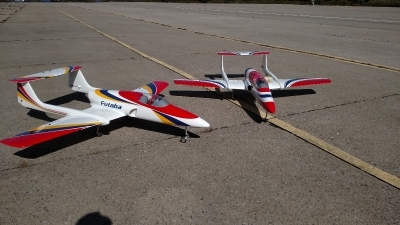 Although most AMA members already have their FAA registration number posted on the outside of their aircraft, AMA will be submitting comments to the FAA requesting a waiver process for those who might be burdened by external markings, such as members who fly scale replica model aircraft. Most importantly, this rule does not change the original acceptable methods of external marking, nor does it specify a particular external surface on which the registration number must be placed. The requirement is simply that the registration number must be seen upon visual inspection of the aircraft's exterior. As you know, the registration requirement is not new. Congress reinstated this requirement in December 2017 with the passage of the National Defense Authorization Act. Although this rule was flexible and allowed the registration marking to be placed in an enclosed compartment, law enforcement officials and FAA partners have expressed concerns about the safety risks a concealed explosive device could pose to first responders when opening a compartment to find a registration number. If you are uncertain if you have a valid FAA registration, you can access your FAA account at https://faadronezone.faa.gov/#. This site will allow you to view your personal FAA registration number and expiration date. We strongly advise you to avoid registering your model aircraft anywhere other than the official FAA website. If you register under Section 336, there is a $5 fee for a three-year registration, and hobbyists receive one identification number for all of their aircraft. Please be aware of unofficial registration websites that charge exorbitant fees or require separate registration fees for each recreational aircraft. Dues are to be paid in full by March 31, 2019. After that date, you must add a $25 late fee to your membership payment. Memberships will not be accepted/renewed if the late fee is not included.